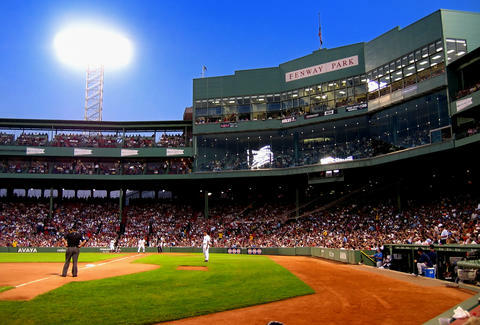 If you've ever dreamt of spending a Summer visiting every Major League Baseball stadium (and Tampa's Tropicana Field) but then realized, "That would cost me a fortune", turns out it may not be as expensive as you first thought. 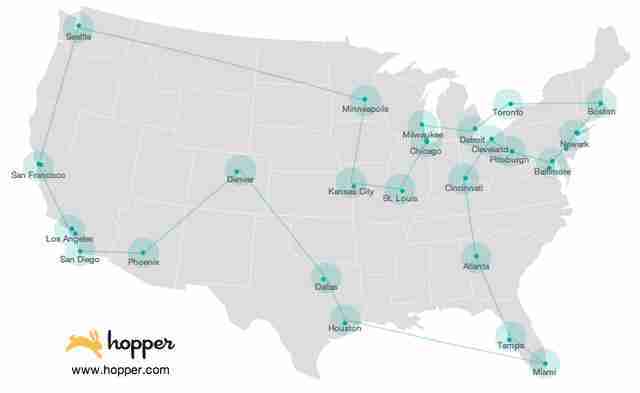 Travel search engine Hopper has created an interactive MLB baseball trip planner that assesses flight costs and maps out the ideal route to every AL/NL stadium, either by shortest distance or cheapest total fare. Simply plug in your home airport, select which stadiums you want to visit, and click Go. The site then analyzes what the kids call "big data" -- factoring in updated flight prices and "good deals found over the past four weeks" -- to determine the perfect tour. At the time of publication, you could hit all 30 stadiums from Boston -- covering 24 airports and 15,000mi -- for as little as $2,498. If you wanted to trim 5,000mi off the trip, the average fare would jump to around $3,198. There is one catch, however, and it's kind of a big one: Hopper doesn't take into consideration where the hell each team is playing on a give day. So while theoretically it'll map out an ideal route for you to visit every park, there may or may not be a game being played while you're there. That said, it's still fun to tool around with, and you can do so by clicking here.